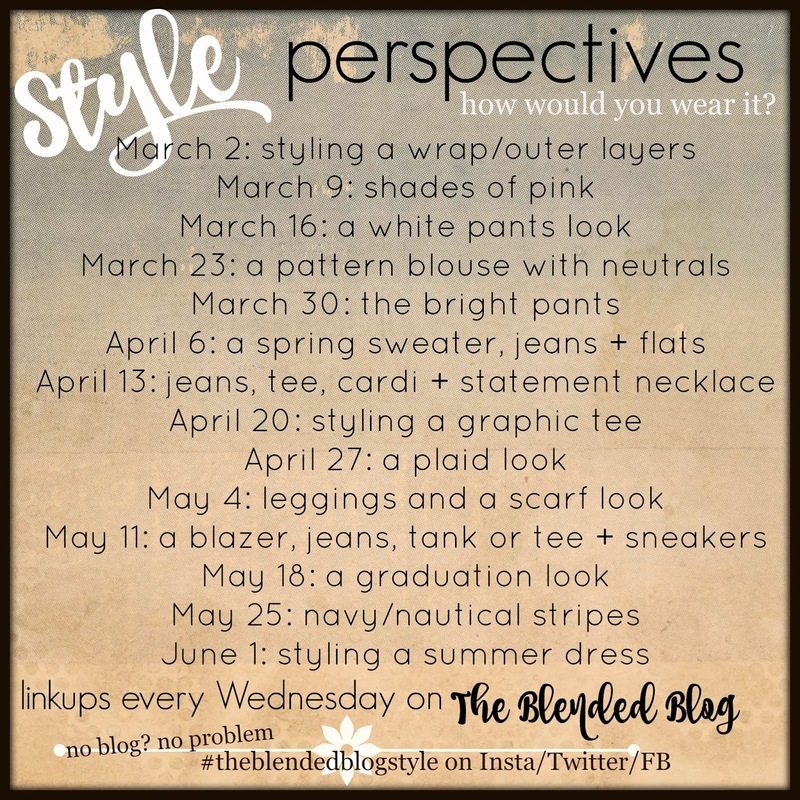 Today marks the first of the Style Perspective Series hosted by The Blended Blog! I'm super excited about the series because it's collaboration with 13 of my favorite blog-friends!!! I had really good intentions to get dressed up and take some pictures. My kids were NOT on board with that idea. I did create a 'wrap look' for you though so that's something! I also am now feeling the need for a wrap jacket. I'm going to have to put the rest of the looks together with stuff in my closet because this polyvore business just makes me want to buy all the things. ALL of them. I'm pretty confident I need a red purse now. Who doesn't have a red purse? This girl. 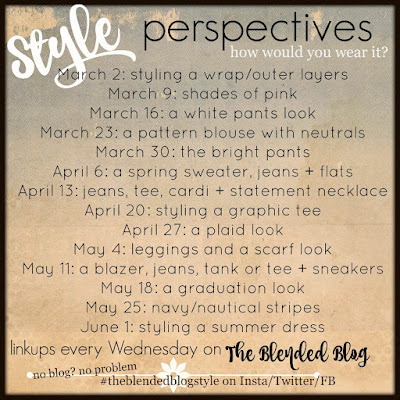 Please link up on the Blended Blog to show us how you would wear the prompt! Missed this week, that's okay, there's always another week! Why linkup? Because each week we will feature the top participating link AND all 14 of us will be checking out your posts!! 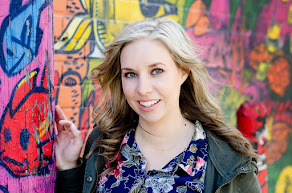 Don't forget Make sure you stop by the Blended Blog to see the featured lady.